(C2/MTN) (Denver and Kinston, NC) 1973 - Current. Photos. Framable Color Prints and Posters. Digital Sharp Images. Aviation Gifts. Slide Shows. 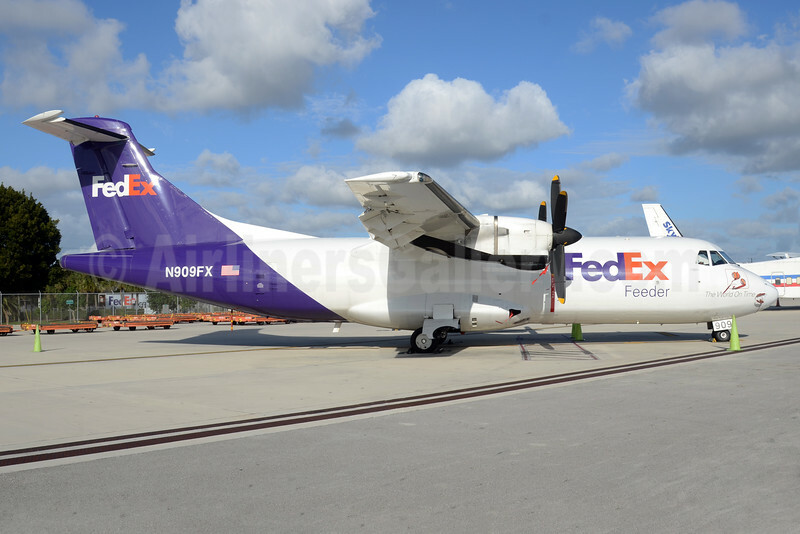 FedEx Feeder-Mountain Air Cargo ATR 42-300 (F) N909FX (msn 275) MIA (Bruce Drum). Image: 104295.